Members of the Police Treatment Centres management team have diverse backgrounds and their collective experience shapes the services delivered by the charity. The team takes a hands-on approach and in particular our clinicians have their own weekly caseload. Patrick Cairns was commissioned into the Royal Military Police (RMP) in 1986. A career Army Officer he has served around the world in a variety of roles as a Commander, a Staff Officer and an Instructor, and served on operations in Northern Ireland, the Former Yugoslavia, Iraq and Afghanistan. Highlights of his career include a 2 year tour as an Instructor in the American Military Police School in Alabama, 4 happy years in Londonderry, Northern Ireland, setting up and running the British Ambassador’s Close Protection Team in Baghdad in 2003, 2 years in an HR appointment in Glasgow which was a welcome respite from operations (although brought its own challenges! ), and command of over 4000 Military Police Officers from 26 NATO countries in Afghanistan in 2011/12. A passionate supporter of the Police Service he has worked closely with a number of UK and International Police Services throughout his career both in the UK and overseas, and concluded his career as the Deputy Chief Officer of the RMP, where he was responsible for the oversight, direction and policy of all complex and serious crime and investigations within the military. He is a trained Hostage Negotiator, Close Protection Officer, Senior Investigating Officer (SIO), Multi Agency GOLD Incident Commander (MAGIC) and Review Officer amongst a variety of other qualifications. He attended the Advanced Command and Staff College in the UK in 2008, and completed a similar course at the Royal Belgian Defence College in Brussels which he followed in French. He is an Economics Graduate from the University of Warwick, has a Masters in Defence Studies from Kings College London, and a French Diploma from the University of Westminster. Married to Carol he has 3 children and 2 terrier dogs. Subject to the health of his knees which are starting to creak a bit these days, he remains a keen runner and cyclist, and when he can get on a licensed firing range, still enjoys shooting. He took up the appointment as the Chief Executive of the Police Treatment Centres in June 2014. Paul has almost 40 years’ experience in the hospitality industry. He is a Member of the Institute of Hospitality and holds a CMI Executive Diploma in Management from Perth University Highlands and Islands and an Executive Master’s in Business Administration (MBA) from Napier University Edinburgh. Paul joined the Police Treatment Centres in 1999 and was appointed Centre Manager in 2004. Prior to joining Castlebrae Paul served in the Armed Forces, worked on Oil Rigs and overseas in places such as Saudi Arabia and the Arab Emirates. He then went on to hold management positions in the Private Sector and the NHS. Paul is extremely proud of the team at Castlebrae and of the consistently positive feedback officers give about the services provided by the charity. 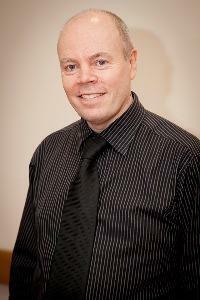 Steve began his career in Human Resources more than thirty years ago as a Trainee Personnel Officer with Woolworths. Within ten years he was promoted to a managerial role and continued working within the retail sector across the north of England. After two years working as HR Manager at a local department store, Steve joined the Police Treatment Centres in 2008. Steve strongly believes that the Charity is an employer of choice and believes that being IIP accredited and one of the first organisations in the country to gain the new Health and Wellbeing Award status was a significant achievement for the PTC. Peter joined the Charity in 2008 and brought with him eighteen years of experience of financial management within a local government setting. 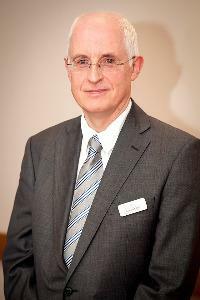 For the last five years Peter was the Finance Manager for the community services department within Harrogate Borough Council and was responsible for a gross budget of over £100 million. Peter’s qualifications include Chartered Institute of Management Accounting and Association of Accounting Technicians as well as recognised management and personnel qualifications. Mark joined the Police Treatment Centres in 2008 after spending more than ten years working for the NHS, latterly for Leeds Primary Care Trust musculoskeletal service. For the last twelve years he has also worked part-time at Leeds Rhinos Rugby League where he provides physiotherapy for the academy teams and is also the current England Academy physiotherapist. Mark has an MSc in Sport and Exercise Injury Management, a BSc in Physiotherapy, a BSc in Physics with Laser Physics and is also a qualified injection therapist. Mark is very proud of the quality of the service delivered by the fantastic staff within the first class facilities at the Police Treatment Centres. Adele has had the privilege to work with colleagues in upgrading the facilities at St Andrews over recent years, complementing the excellent clinical treatments available for patients and improving the working environment. The aim of the Facilities team is to ensure that all patients and visitors are comfortable, feel safe and secure and most importantly they are able to relax in the unique environment of St Andrews. Adele is proud of the Facilities team in achieving the balance and the high standards required which is reflected in patient and visitor feedback. Adele has worked in some lovely building and grounds in the past, but St Andrews is special because of the people who benefit from the facilities and the commitment from colleagues. When Adele is not at St Andrews, she is busy working on the family farm looking after the flock of mule sheep and herd of limousine suckler cows with her husband in the dales. Alison has twenty five years experience in the Customer Service Industry. While studying for an HND in Hotel, Catering and Institutional Management and later Management Training, Alison worked in London and Canada and went on to work in hotels in Washington, Paris and Geneva. Homesickness prompted Alison to return to Scotland and she worked at the prestigious Gleneagles Hotel before joining the Police Treatment Centres in 2000. Customer Service is very important to Alison and she supports her team in developing their skills. Helen is a registered nurse with over twenty five years experience. After training at Harrogate General Hospital, Helen worked at both Harrogate Hospital and the Friarage Hospital in Northallerton. Helen started working at St Andrews part time in 1991, before becoming a permanent member of the nursing team in 2003. Helen became Head Nurse in 2015. Amy began her career at Perth Royal Infirmary before moving to Ninewells Hospital, Dundee, where she worked in various specialities including Medical, Renal and ENT. During this time she gained her Bachelor of Nursing. Amy joined the nursing team as a part time nurse in 2012 and continued in that role until taking up the Head Nurse post in 2017. Sarah qualified as a physiotherapist in 2005, and worked at Leeds Teaching Hospitals and within the NHS. Sarah has an experience of working with a wide range of sports, including Rugby Union, GB Bobsleigh and GB Race Walking. Sarah worked at the 2010 Vancouver Winter Olympics with the British Women’s Bobsleigh team (“Team Minichiello”), who were the 2009 World Champions. Sarah joined the physio team at St Andrews in 2009. Sarah became Head Physio at St Andrews in 2015, and looks forward to working with fantastic team getting officers back to full fitness. Pauline qualified as a physiotherapist in 1981 and worked in Tayside for three years before spending time travelling in Australia. On her return Pauline continued in her career and diversified into the fitness industry, launching her own business. Pauline joined the Police Treatment Centres in time for the opening of Castlebrae in 1996 and relished the challenge of combining her physiotherapy skills with motivating police officers to improve their fitness. She became Head Physio at Castlebrae in 2005 and continues to enjoy the challenge of working with the hugely successful team. Liz comes with a wealth of knowledge in the catering sector, having worked at the National Policing Improvement Agency, Duchy Nuffield Hospital, Thistle Hill, and Lords Restaurant to name a few. Chris joined the Charity in April 2005 and is now the Head Chef. Chris and his team enjoy the interaction they have with our patients and they get particular satisfaction from devising menus for those with special dietary needs and allergies. Chris has been instrumental in the production of the PTC Recipe books and healthy eating.